The premier website on Punjab and Sikh heritage. Even as he plots the return of his party to power in Punjab, former Chief Minister and Congress leader Capt Amarinder Singh has penned a book “The Last Sunset: Rise and Fall of the Lahore Durbar” on the tallest Sikh king, Maharaja Ranjit Singh, which was released here this evening. Marshal of the Indian Air Force Arjan Singh released the book. Many politicians, including Cabinet minister MS Gill, Congress spokesperson Abhishek Singhvi, former Himachal Chief Minister Virbhadra Singh and ministers of state Shashi Tharoor and Sachin Pilot attended the function. Amarinder’s wife Preneet Kaur was, however, conspicuous by her absence while his friend Aroosa from Pakistan was present with some family members. Talking about the book, he said he spent over five years researching the book, making trips across the country and abroad to browse Sikh literature and documents in British and Pakistani museums and archives. 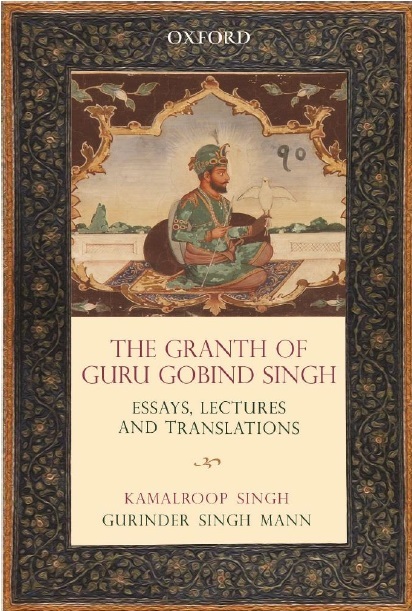 “The book entails the comprehensive history of the Lahore durbar, the glorious reign of Ranjit Singh and his exemplary organisational skills that led to the formation of the formidable Sikh army and the fiercely fought Anglo-Sikh wars. 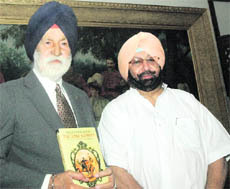 Both the Anglo-Sikh wars of 1845 and 1848 have been covered in detail in the book,” Amarinder said. “But the book divided in five parts takes a holistic look at the Lahore durbar, even before and after Ranjit Singh,” he added. The book would be released in Chandigarh and Lahore soon. Advertise your books and other Heritage related interests on SIKHNUGGET. Many of our stories are original and syndicated around the world. Copyright © 2009-2014 THE SIKH NUGGET. Part of the GSMANN.COM Network.